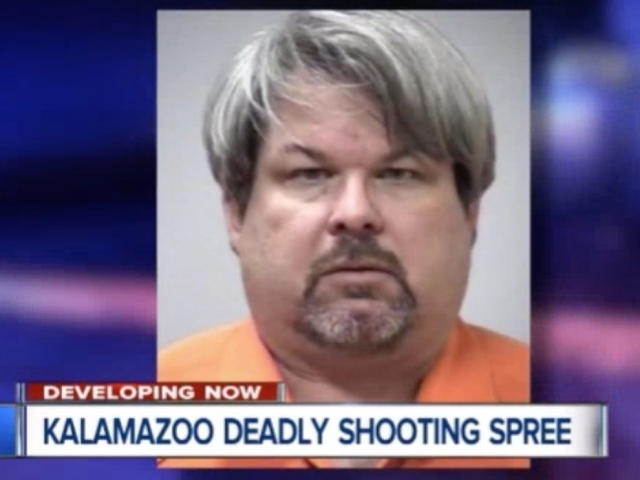 KALAMAZOO, Mich. (AP) — The Uber driver suspected in a series of three random shootings in Michigan admitted carrying out the seemingly random attacks that killed six people, a prosecutor said Monday. Jason Dalton waived his right against self-incrimination before making the statement to authorities, Kalamazoo County Prosecutor Jeff Getting said. Dalton's statements were used to file charges of murder and attempted murder Monday, two days after the rampage in the Kalamazoo area. Dalton appeared in court via video to hear the charges. He was ordered held without bond and will get a court-appointed attorney. If he's convicted, the murder charges carry a mandatory life sentence. Michigan does not have the death penalty. Meanwhile, an Uber passenger said he called police to report that Dalton was driving erratically more than an hour before the shootings began. 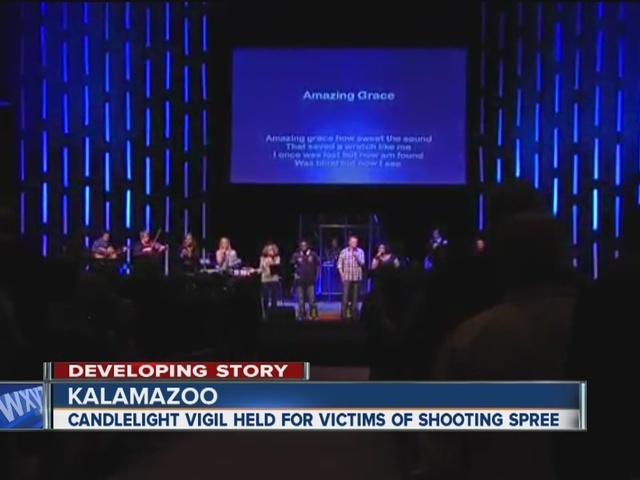 Matt Mellen told Kalamazoo television station WWMT that he hailed a ride around 4:30 p.m. Saturday. He said driver Jason Dalton introduced himself as "Me-Me" and had a dog in the backseat. Mellen sat in front. About a mile into the trip, Dalton got a phone call, and when he hung up, he began driving erratically, blowing through stop signs and sideswiping cars, Mellen said. "We were driving through medians, driving through the lawn, speeding along, and when we came to a stop, I jumped out of the car and ran away," Mellen said. He said he called police and that when he got to his friend's house, his fiancée posted a warning to friends on Facebook. Mellen said he also tried warning the ride-hailing service. "I'm upset because I tried contacting Uber after I had talked to the police, saying that we needed to get this guy off the road," Mellen said. Since Dalton's arrest, several people have come forward to say that he picked them up for Uber in the hours after the first attack. The Associated Press could not immediately confirm those accounts. Kalamazoo County Sheriff Richard Fuller said Uber is cooperating with law enforcement officials, and he believes the company will "help us fill in some timeline gaps." Investigators are particularly interested in communication between Dalton and Uber, as well as customers he might have driven, the sheriff said. Questions about motive and Dalton's frame of mind are "going to be the hardest to answer for anybody," Fuller said. He expects some answers to emerge in court, but he doubts they will be satisfying. "I have to say, 'You are probably correct.' I can't imagine what the answer would be that would let us go, 'OK, we understand now.' Because we are not going to understand." Authorities allege that he shot the first victim outside of an apartment complex and that he shot seven others over the next several hours. Police have not provided a motive. The victims had no apparent connection to the gunman or to each other. The attacks began Saturday evening outside the Meadows apartment complex on the eastern edge of Kalamazoo County, where a woman was shot multiple times. A little more than four hours later and 15 miles away, a father and his 17-year-old son were fatally shot while looking at cars at a car dealership. Fifteen minutes after that, five people were gunned down in the parking lot of a Cracker Barrel restaurant. Four of them died. A spokeswoman for Uber confirmed that Dalton was a driver for the company, but she declined to say whether he was driving Saturday night. Uber prohibits both passengers and drivers from possessing guns of any kind in a vehicle. Anyone found to be in violation of the policy may be prohibited from using or driving for the service. Many handguns and long guns were seized from Dalton's home. But there was no indication that he was prohibited from owning the weapons, said Donald Dawkins, a Detroit-based spokesman for the U.S. Bureau of Alcohol, Tobacco, Firearms and Explosives, which was assisting police. A man who knows Dalton said he was a married father of two who never showed any signs of violence. Gary Pardo Jr., whose parents live across the street from Dalton in Kalamazoo Township, described him as a family man who seemed fixated on cars and often worked on them. "He would go a month without mowing his lawn but was very meticulous with his cars," Pardo said, explaining that Dalton, at times, owned a Chevrolet Camaro and two Hummer SUVs. Progressive Insurance confirmed that he once worked for the company before leaving in 2011. Dalton was an insurance adjuster who did auto-body estimates and once taught an auto-body repair class at an area community college, said James Block, who has lived next door to him for 17 years. "He loved to do things outside with his kids" like taking them for rides on his lawn tractor, Block said.